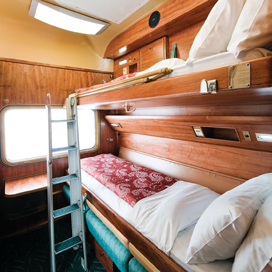 The design of rail carriage interiors requires a high degree of specialised development to meet the exacting operational demands, international fire rating standards, structural forces and durability of an accommodation venue in constant movement. 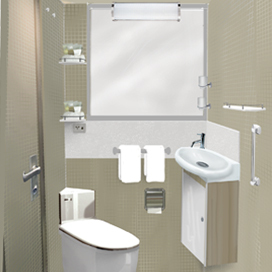 Added to these requirements are extremely limited space, the need for multi-use functionality and, above all, a maximum level of comfort, style, safety and amenity for guests. Atomiq has been using it's interdisciplinary design methods to fulfill these highly specialised design requirements on tourism and luxury rail carriage interiors. All materials and fabrics are screened and tested to meet very high fire rating standards and the robust construction required for the train environment. To this end most furnishings need to be custom designed to suit this specific environment. When necessary we have also designed specialised lighting, wall linings, fabrics, carpets and signage.